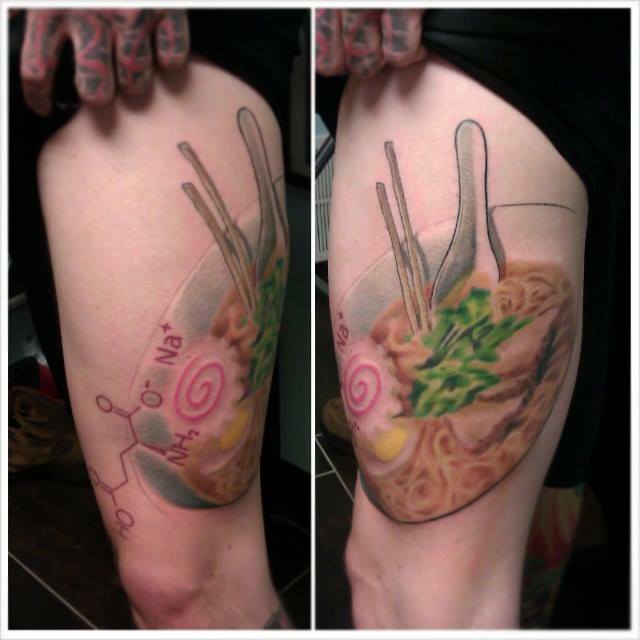 Tattoo by Daniel Claessens on Ben Spangler! Thank you Ben!! Damn, I want Ramen!!! !